What is a behaviorist & what do they do? How do I know if I need a Behaviorist or a Trainer? Many times we have an owner call up and tell us that their dog listens or follows commands but gets aggressive during specific situations. This is a prime example of someone who needs a behaviorist and not a trainer. One of our former interns came up with a great example. You can teach a child to color, spell words and do math, all these are skill sets just like teaching a dog to sit, stay and heel; however, it does not mean the child is a well mannered or behaved human. If the child was ‘acting out’ or behaving inappropriately, teaching them more spelling would not change this; you would need to discover and address why they are behaving badly. This is the same with a canine; if they are behaving badly, you need a behaviorist that knows how to discover, understand and address why they are misbehaving; teaching commands will not resolve the behavior. When an owner states they are having problems with their dog other then commands it is helpful to have a behaviorist get involved. If your dog is well behaved except that he doesn’t sit or heel then you probably want training. If your dog is jumping, chewing items, is aggressive, or you believe has any mental or obsessive problem then you want a behaviorist. This is usually seen in destructive behavior, any form of aggression, ‘the bad dog syndrome’ and many other terms owners complain about. How do you determine the cause of the problem? A behaviorist conducts specific scientific tests and observes & evaluates the dog’s body language and personality as well as interviewing the owners and observing their interaction with their dog in order to determine what the causation of the problem is. How do you solve my problem? 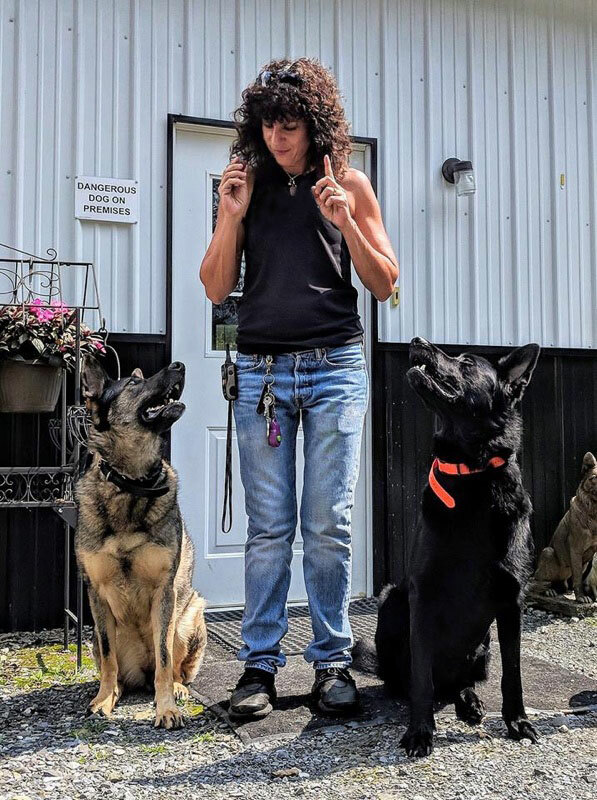 Once we determine what the problem is and what is causing the problem we will give you techniques and exercises to do in order to solve the problem you are having with your dog. We will also explain why you are having the problem in the first place so you better understand it and can prevent future problems from occurring. At times it requires simple counter conditioning or retraining of owner interactions and other times it rangers all the way to mental disorders requiring medication and advanced behavioral techniques to resolve.